The loop starts just past the Woodlands Causeway and finishes along Danga Bay before the Causeway for the return home. 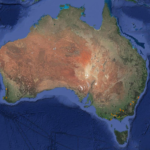 You can checkout the Strava Route here. Head to the Woodlands Checkpoint and cross the boarder. 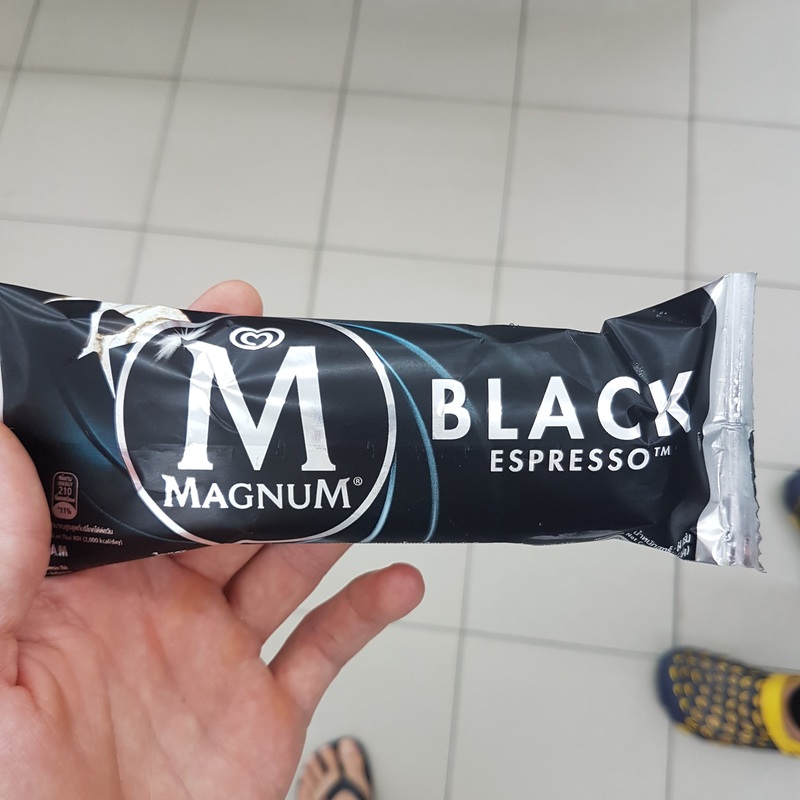 There are 2 service stations immediately after you cross into Malaysia, either make a good regroup spot as your group will split up through immigration. Take the opportunity to top up water bottles before heading into the loop. Perhaps grab a snack as well. 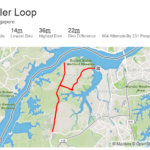 We usually ride the loop somewhat unbroken, and don’t refuel until either the Shell which is 84 kilometres into the loop, or over 100 kilometres into the ride if you started in Singapore. The loop can be broken down into three sections. Similar to a race. You have the setup, the hills, and the final. 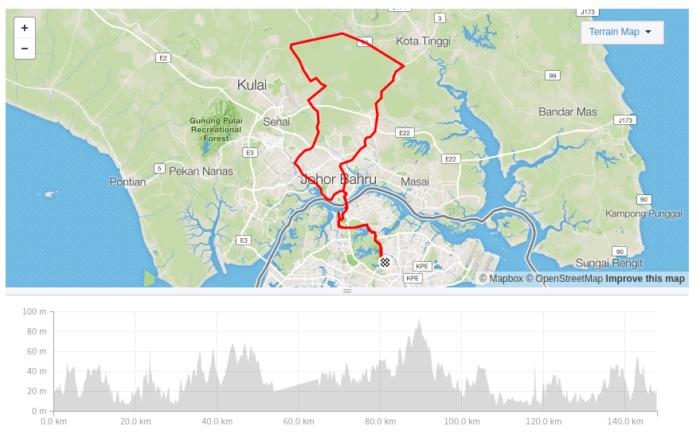 You will start riding north east towards Kota Tinggi along the undulating highway for 30 kilometres. The road is quite fast even though you are stepping up over a ridge line. You will drop down again before turning left at Jalan Kulai – Kota Tinggi (94). The 94 rollers start to get steeper and more sevre as you continue west bound. Following the 94 towards Kulai for nearly 24 kilometres before turning left at Jalan Sungai Tiram (J8). Follow the J8 south bound for 11 kilometres. The J8 road pitches start to really bite and the accumulated distance starts to nag. Along this stretch is where you can struggle if the pace is high! If you are feeling strong on the day I suggest you hold a little back for the run into Danga Bay to finish strong. As you get closer to the turn onto the J105 the sun will be shining and the ramps will start to feel like mountains. The last major pitch is immediately after the right turn onto the J105, the ‘coconut stand’ awaits at the top of that pitch. The coconut stand is simply a stall which is sometimes open. 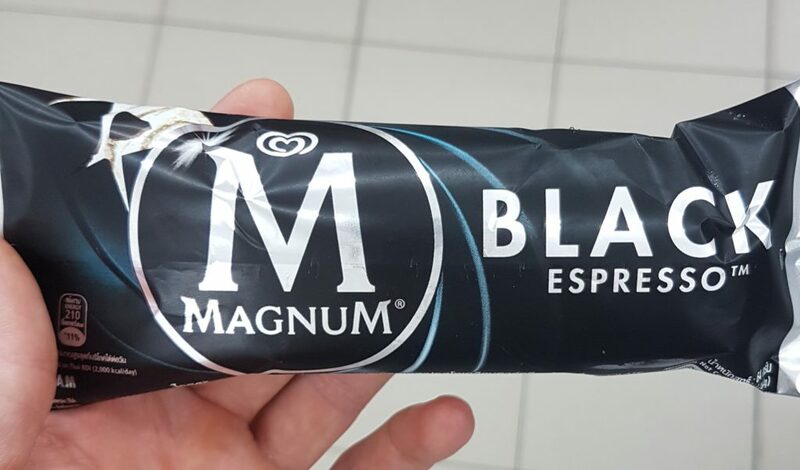 I’ve never seen it open, and don’t know what they sell. Usually the ‘coconut stand’ is a good place to stop and take a break, if required. At this point you are well and truely past the half way mark, and the hardest sections of the ride are behind you. The heat and distance will fatigue the body and the run home will surely hurt if you are not feeling the best. Once past the coconut stand follow the fast pased downhill for 5 kilometres back towards civilisation. Turn left at Jalan Kampung Maju Jaya and follow the road for 13 kilometres. From here on you will be riding back into Johur Bahru and the traffic and roadsides will increase in density. There is a Shell service station just around the corner at Persiaran Bukit Kempas which is the last reasonable place to stop before heading back to the Causeway. Take the chance to do a water bottle refill or grab a coca cola or your favourite snack midride. 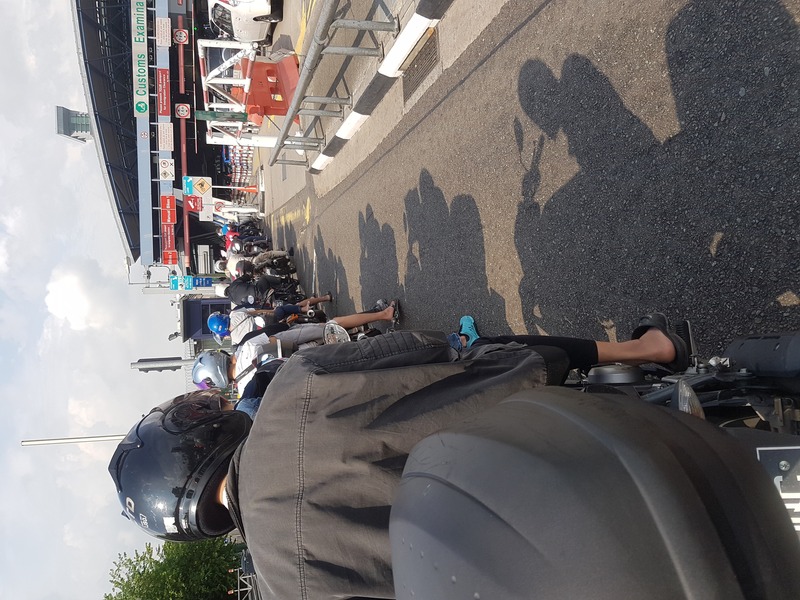 Heading back to the causeway from here feels like a formality for those who regularly ride the route, however as the return is along one of the major roads into JB you must stay alert. Head back down to Jalan Kempas Lama (the road changes name somewhere), continue down the hill and turn left at the end. From here it’s a matter of following the GPS back to immigration. The road is fast, usually windy, and traffic is plentiful so stay alert and stay as a group. At Danga Bay the road forks and both directions are good. My personal favourite is fork right, but this requires merging across 2 lanes and should only be done when safe. If travelling back to Singapore it’s worth noting you need to stay in the left most line for immigration, which does not have automatic processing. The trick is to ride up as close to the gate as possible, and get out of the sun. There will be a long line of motorbikes which you can pass. 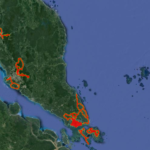 If you are looking to put some kilometres in your legs leading up to a race or just want to explore some of the Malaysia country side, this route is most certainly one which will challenge without disappointment. You can ride it race pace and really hurt yourself, or ride more leisurely and enjoy some traffic light free countryside. The one drawback to this ride is the immigration return into Singapore. It is possible you will wait for up to an hour before clearing the checkpoint. Hi Mike, great blog. We are planning for Kulai ride on May. We are mixed level riders from beginner-intermediate. Would you recommend for us to get support vehicle during the ride or not? Thanks. It’s really a personal preference. I would say it’s not required. 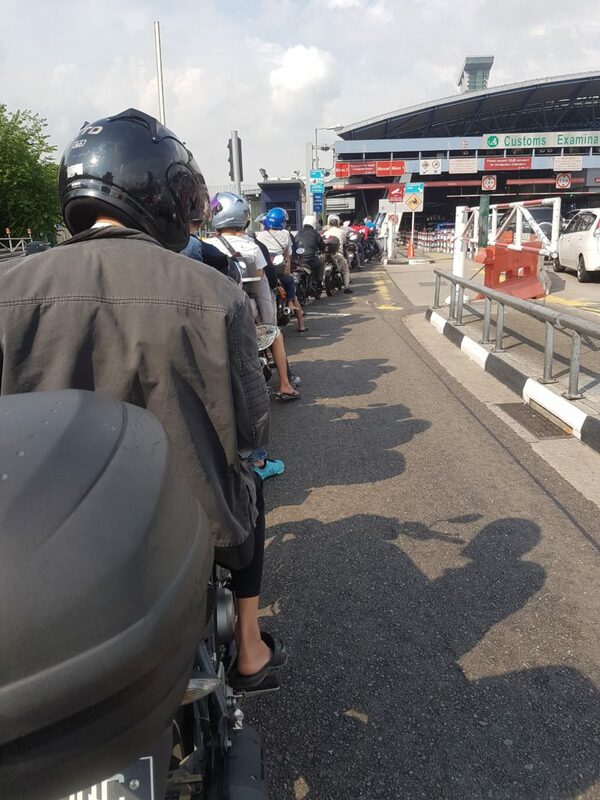 The longest distance between service stations is around 65 kilometres (2.5 hours riding at a reasonable pace) from the PETRONAS – Ulu Tiram to the Shell – Taman Anggerik. However there are corner stores and other shops to stop and fill water bottles or take a break.